Trust us to make your event a success. We’re known as the event portaloo specialists. We have a proven track record of handling the hygiene services at many major events. Only the best will do on your big day. Our range of quality solutions will ensure your guests enjoy the best possible facilities. We can design and construct great facilities that ensure your job site complies with the latest health and safety regulations and practices. Everything we do is about raising the standard in portaloo and waste management services. 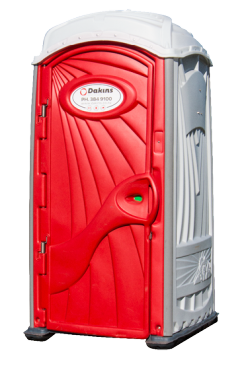 We’re specialists in portable sanitation, providing you with complete peace of mind, expert advice and an excellent range of products to suit any occasion. Whether you’re running a construction site, hosting an event or organising a wedding we make it easy, with total delivery capacity across the South Island. We're also highly skilled in the areas of waste collection, offering an array of services. A certified Waste & Hazardous Materials contractor, we ensure our staff have the training and skills to confidently deal with challenging situations and materials whilst also conforming to OSCH regulations and relevant protocols. 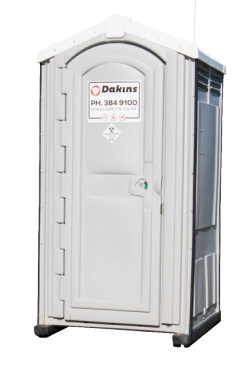 As members of the Portable Sanitation Association Ltd (PSAI), and holders of a Wasteminz accreditation, an extremely rare recognition of quality and exceptional standards, the Dakins Group lead the way in our commitment to the service we offer, regularly attending international tradeshows and seminars to ensure we’re providing the very latest innovations and technologies.